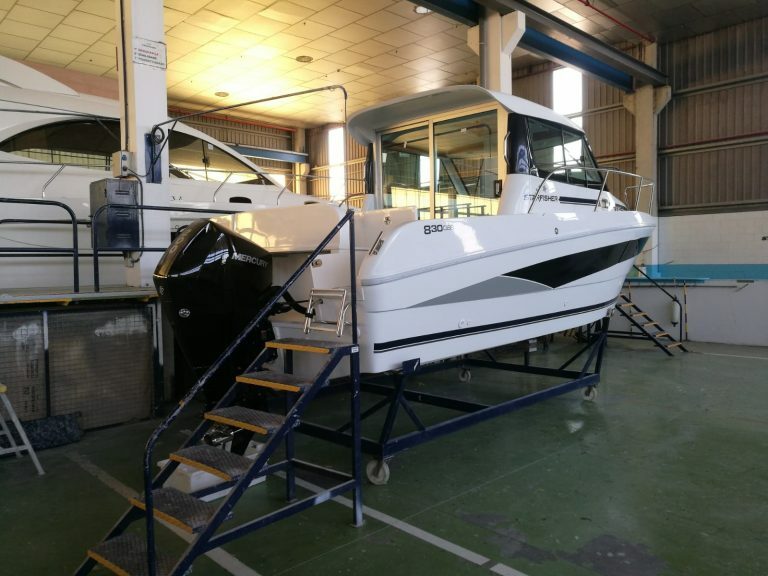 SWUK Marine have the following boats in stock and available for instant purchase. 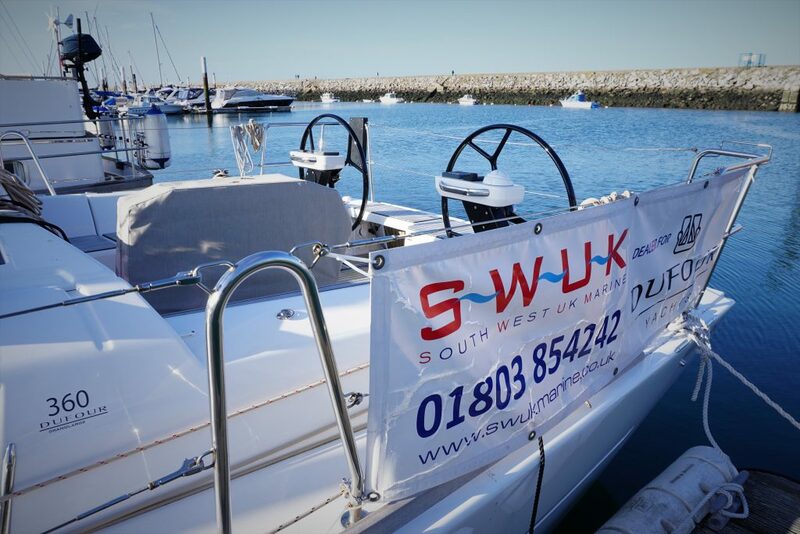 Contact us today to arrange a test sail and for any questions you may have. 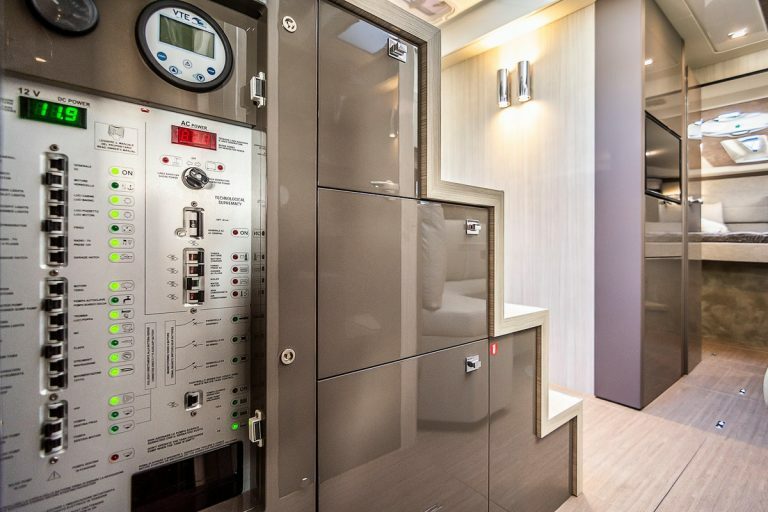 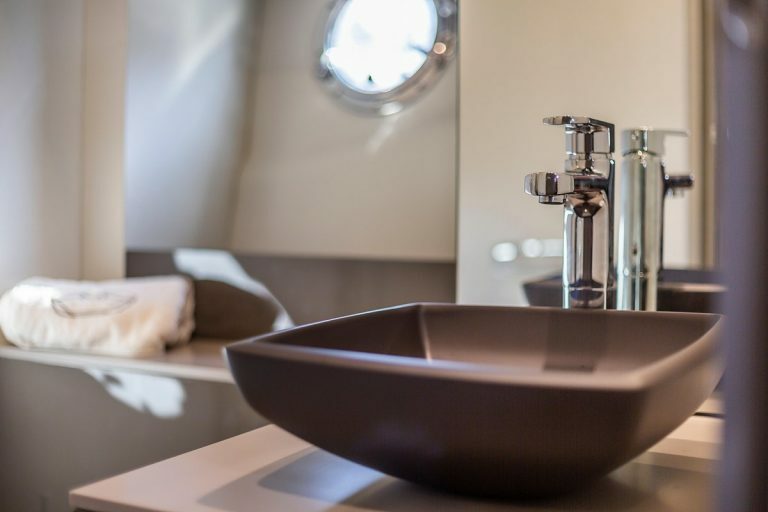 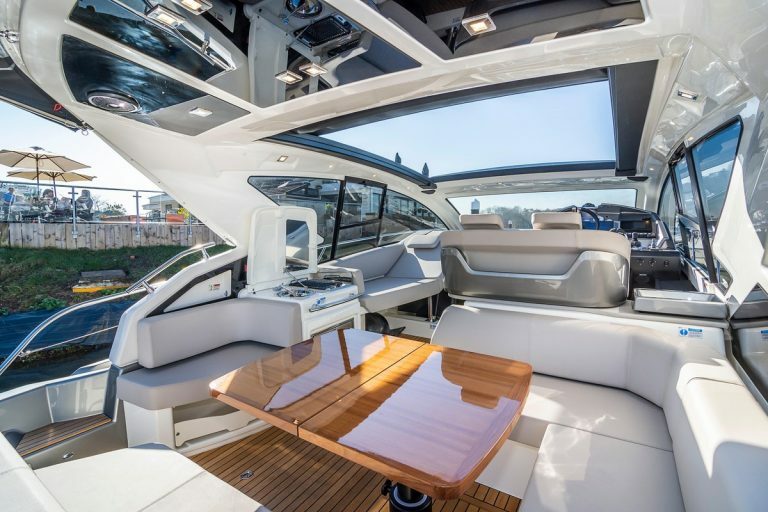 The Dufour 360 Grand Large has been designed to provide the best balance between sailing experience and space onboard, both above and below deck. 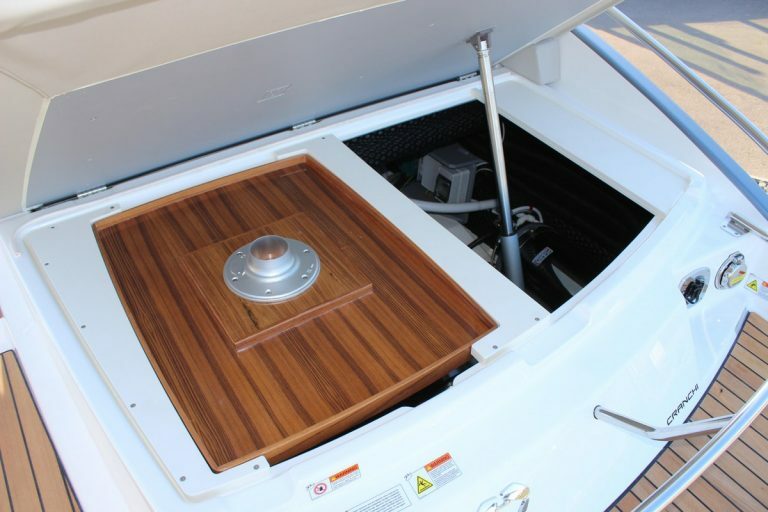 The optimization of the rudder, the wide aft beam and the long chines ensure maximum stability at any speed. 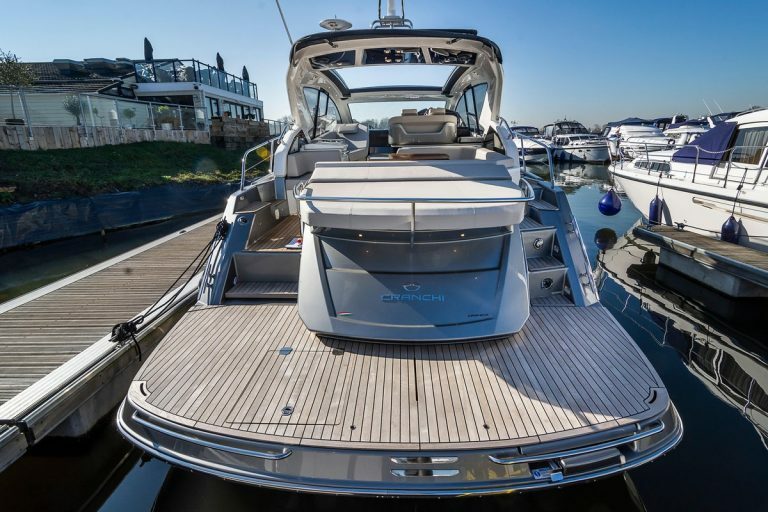 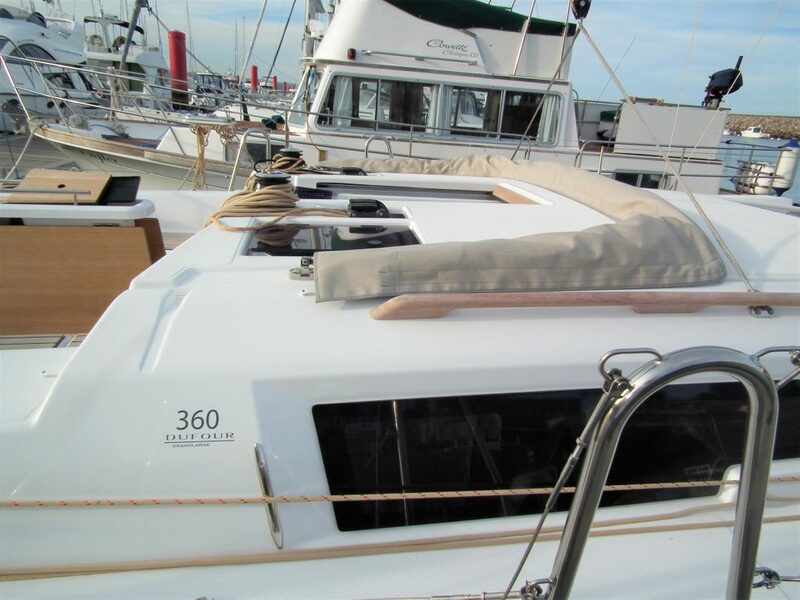 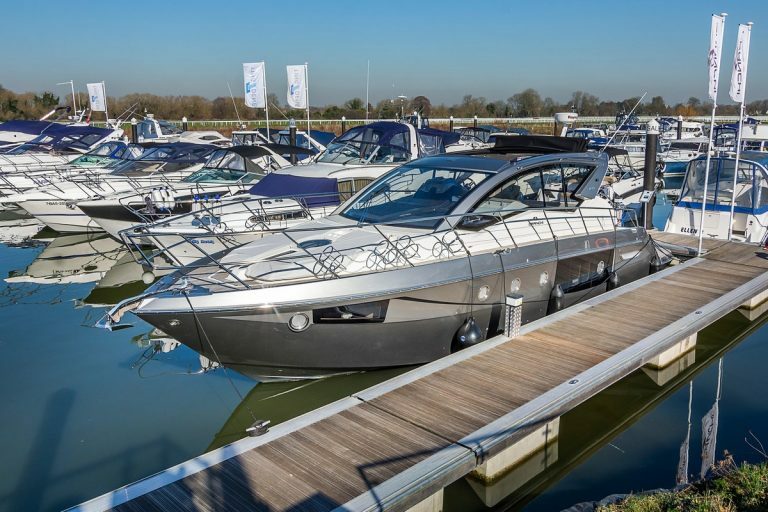 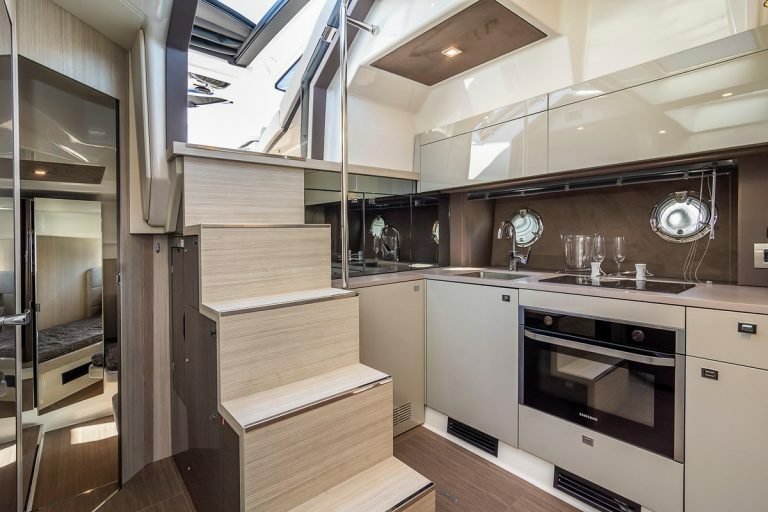 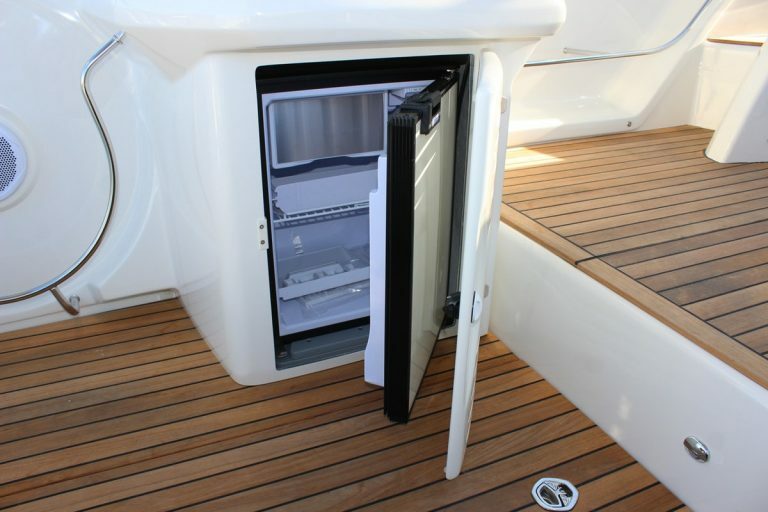 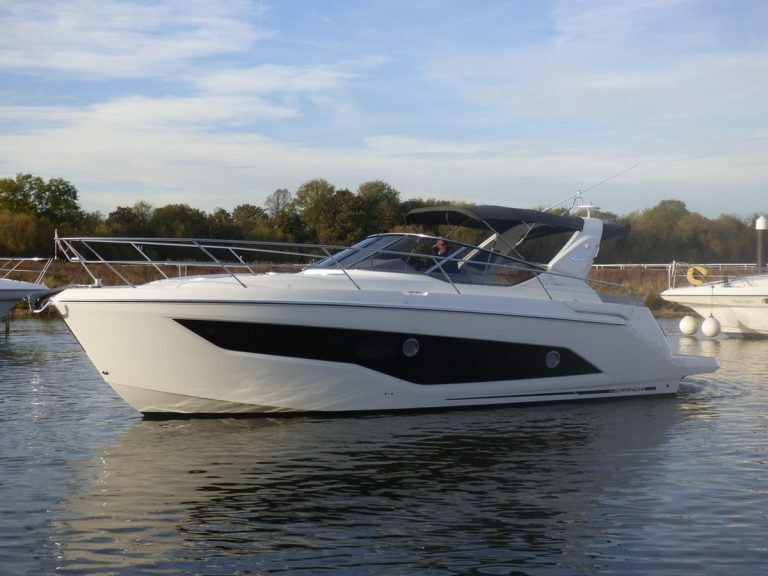 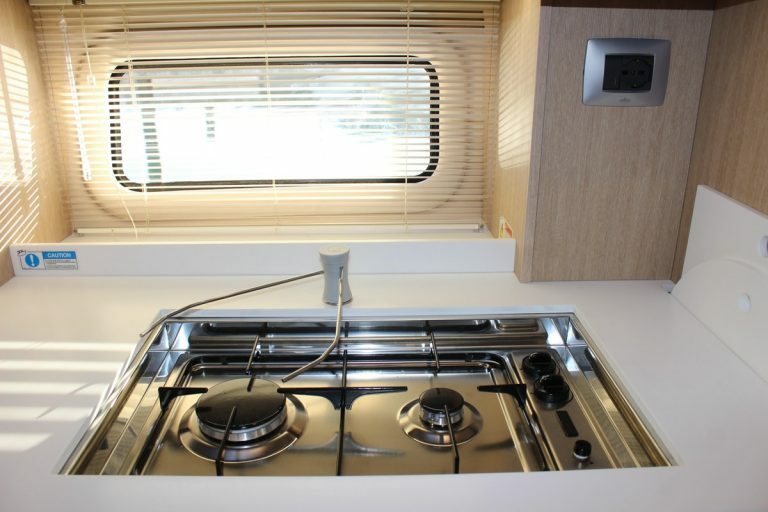 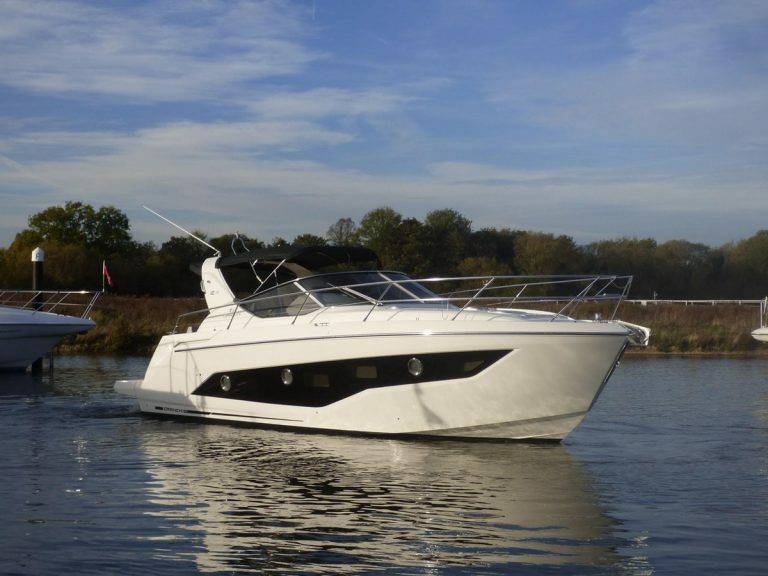 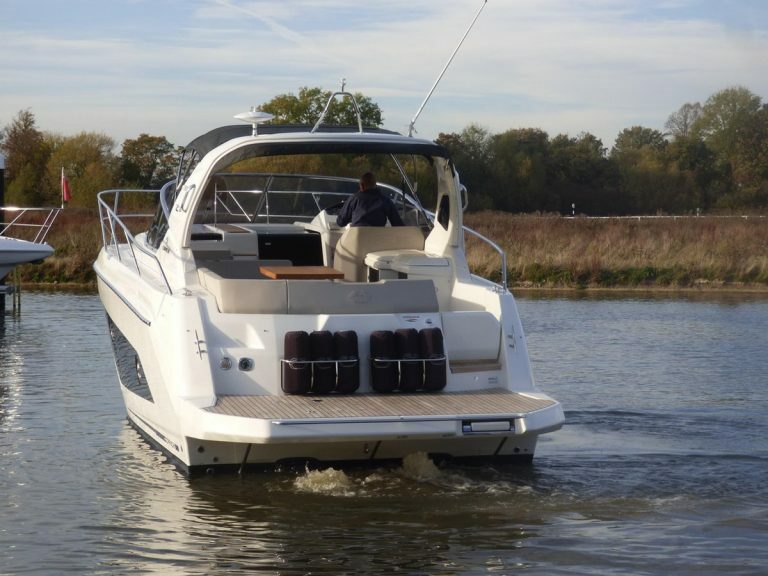 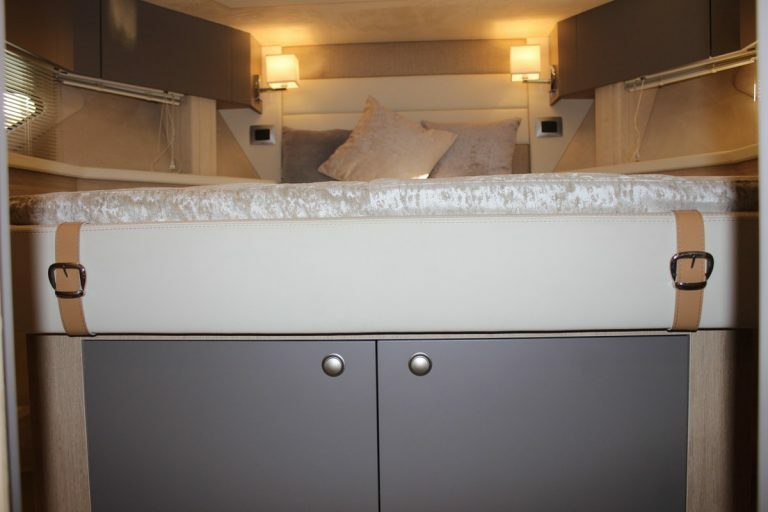 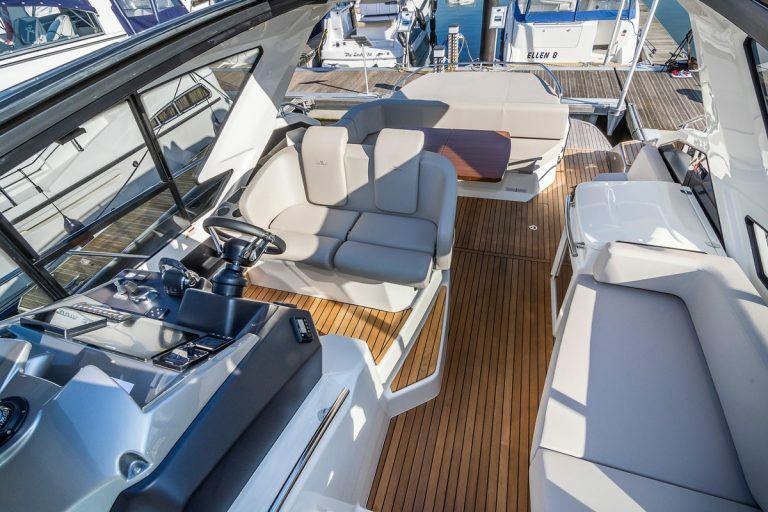 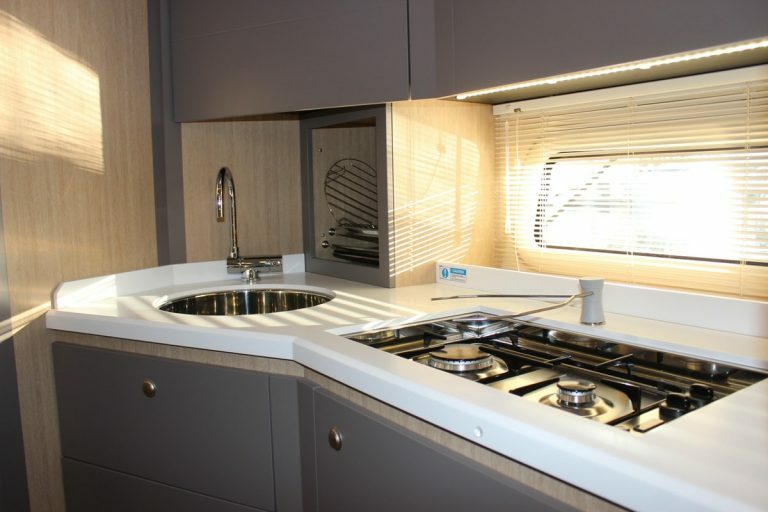 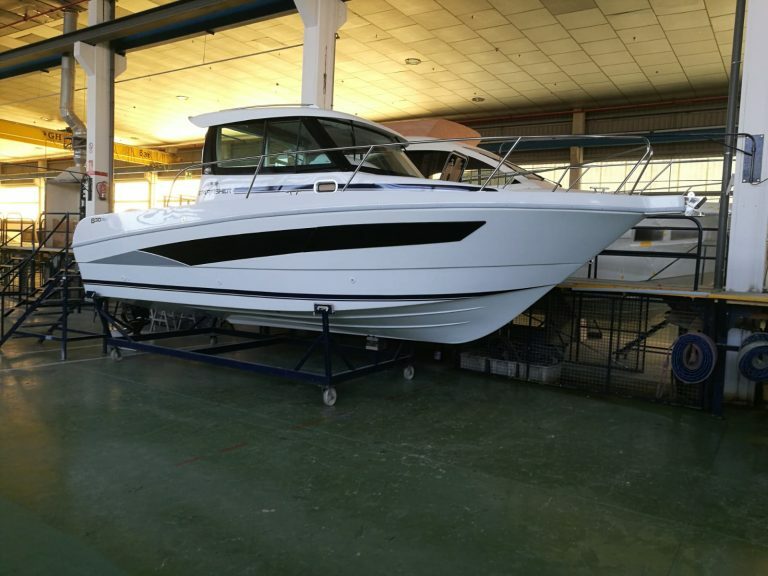 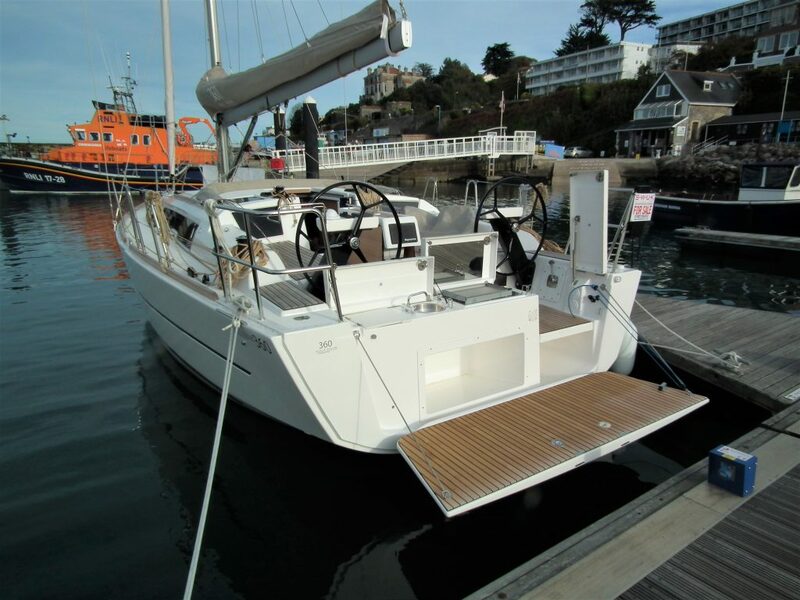 The Dufour 360 is the first model of the range fitted with the new Grand Large 3.0 roof design. 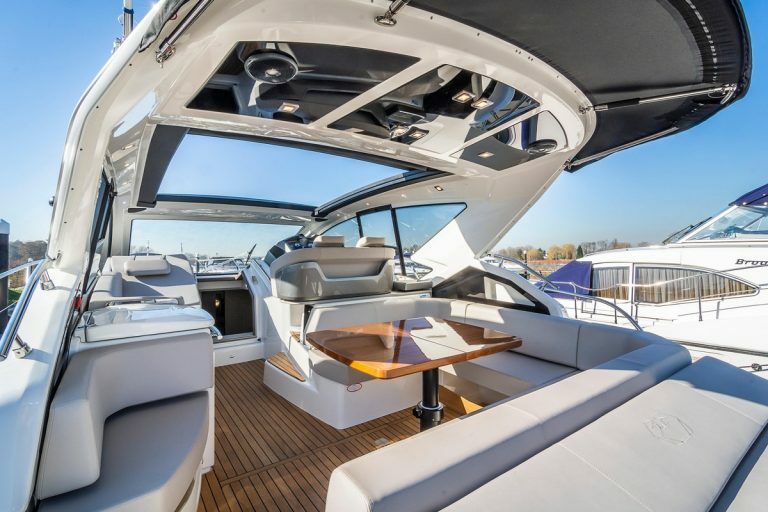 Inspired by the standards of larger models, this sleek deck provides innovative new features. 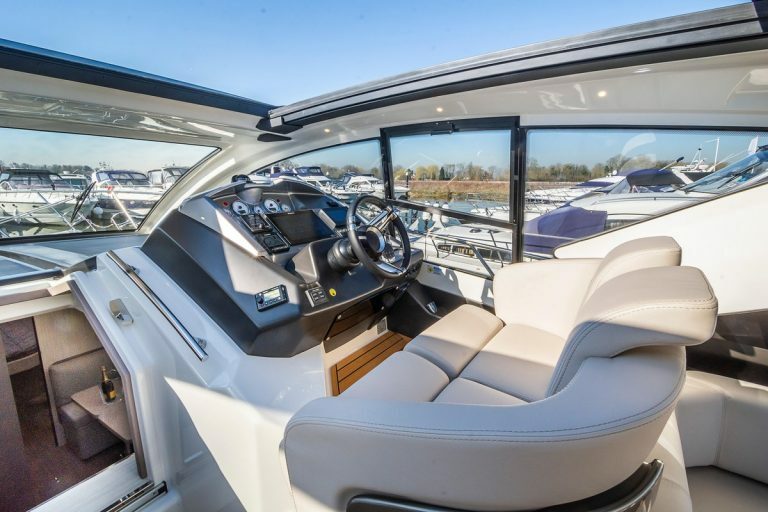 With the same spec, this boat will usually retail at around £160,000.00 giving you a massive saving. 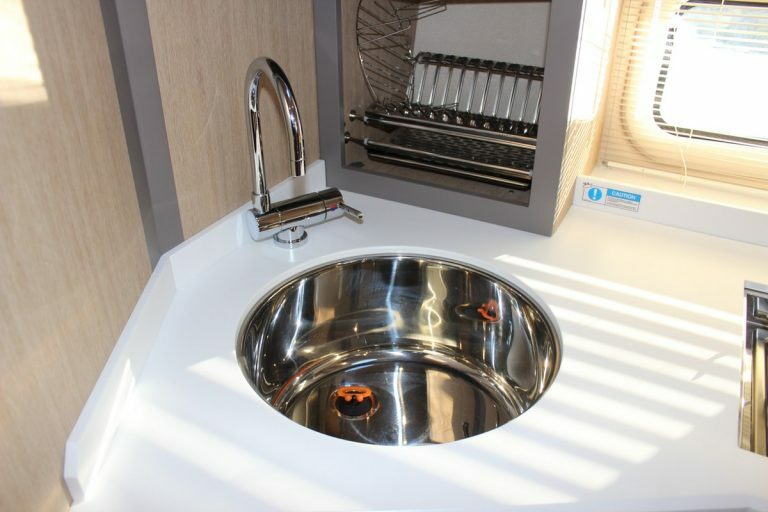 Why not contact us to see if you might be surprised with what we can offer! 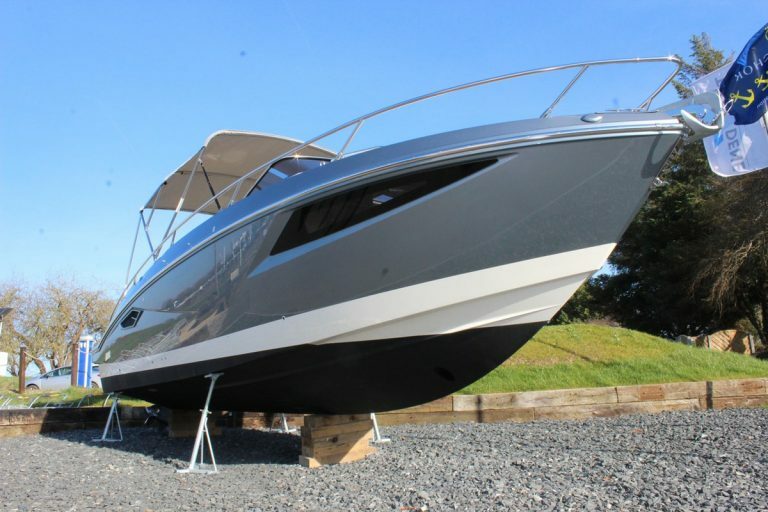 The Starfisher 830 OBS is a great example of a sports fisher boat, with great performance and sea worthiness, complimented with a modern design, Sleek hull windows and cabin give this boat a sporty look. 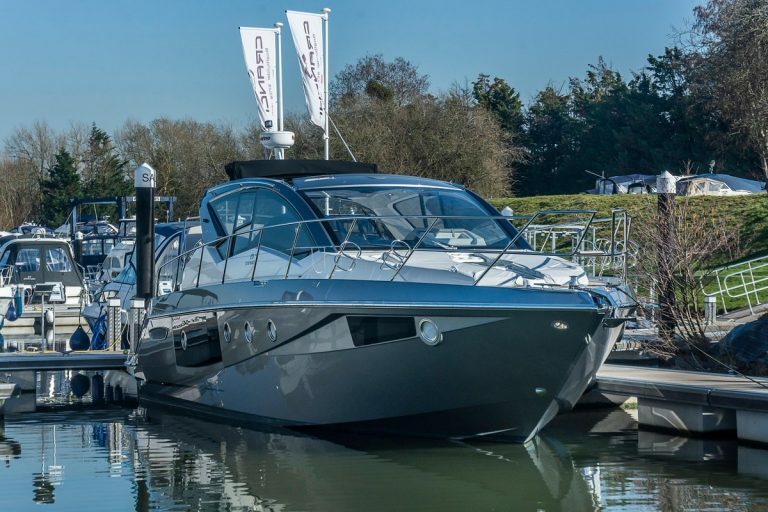 This 830 OBS is fitted with a 200hp Mercury V6 giving plenty of power for cruising. 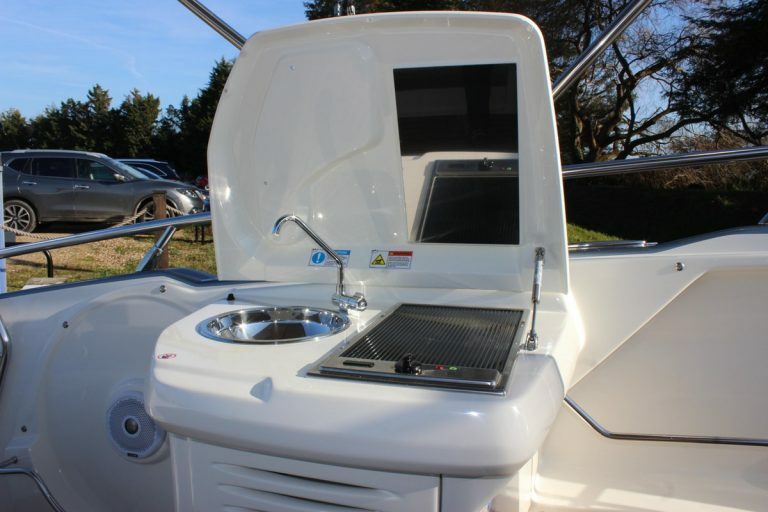 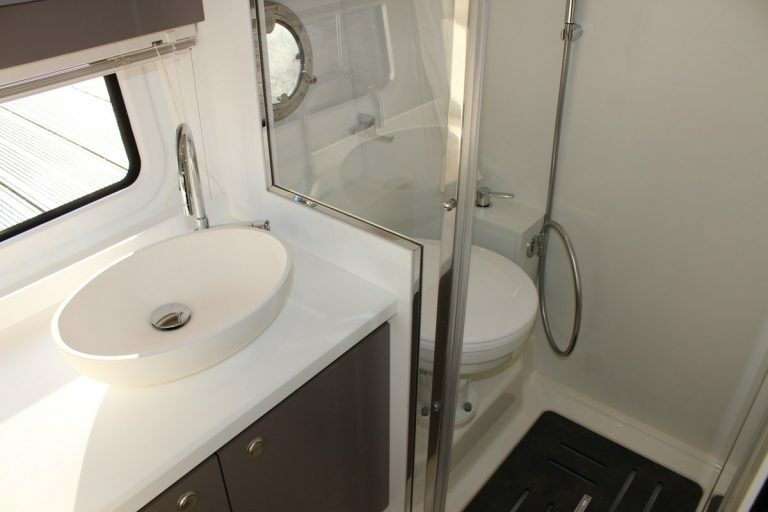 Optional Extras include, opening wheelhouse roof hatch, folding cockpit seats, cockpit shower and many more. 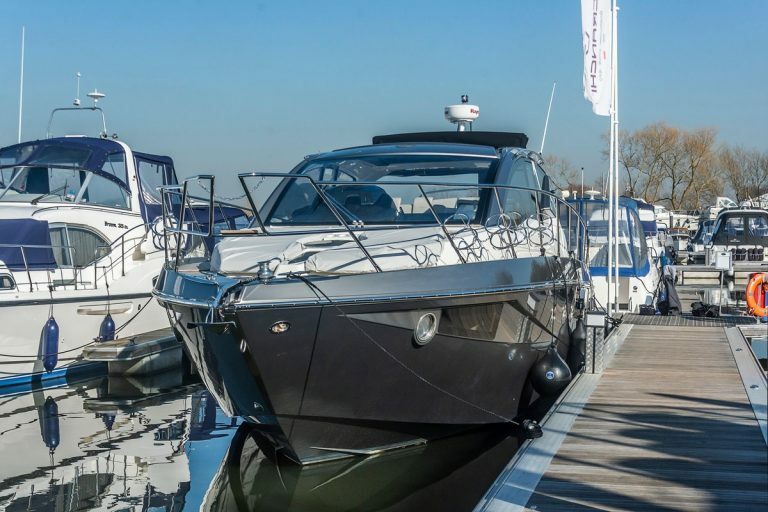 An exciting opportunity that cannot be missed! 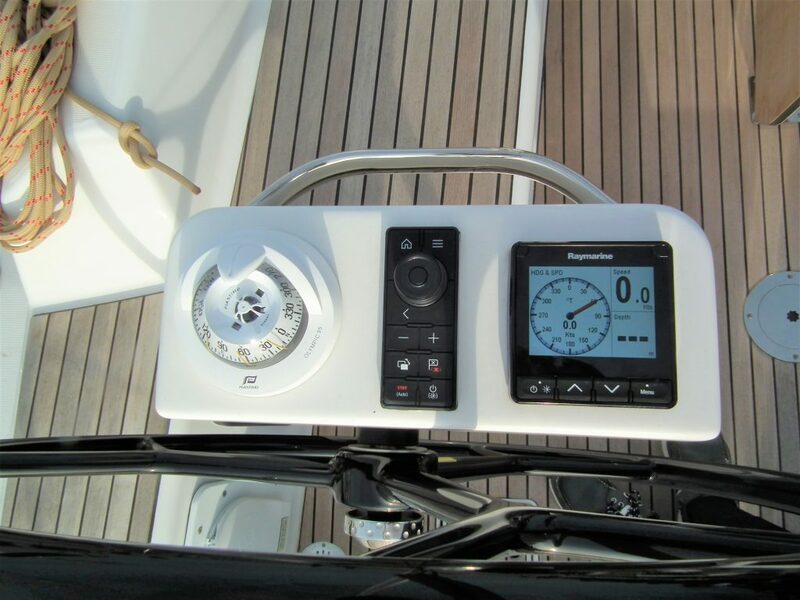 Retailing at £78,212.00 and being the first 830 OBS available in the UK! 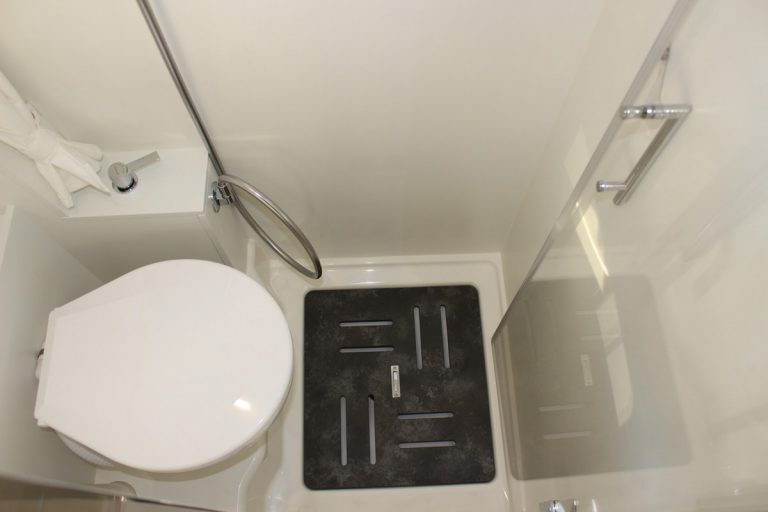 Why not contact us to see if you might be surprised. 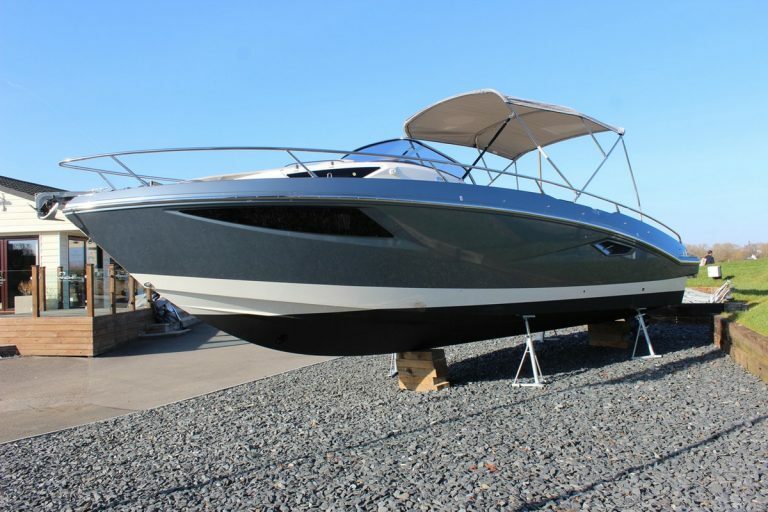 The Cranchi Endurance 30 is the perfect day boat for relaxing with family and friends. 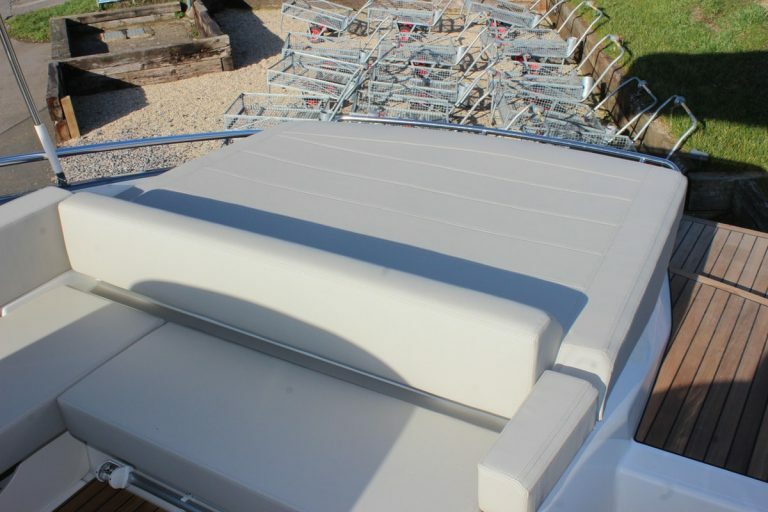 The bow area is easily accessible via the well protected walkways. 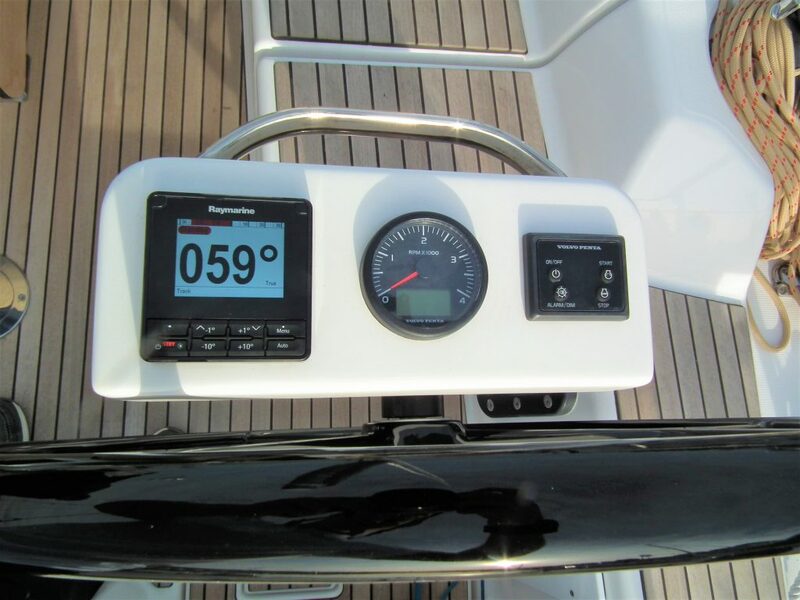 The helm is easy to circumvent with the ability for the pilot and navigator to move around freely. 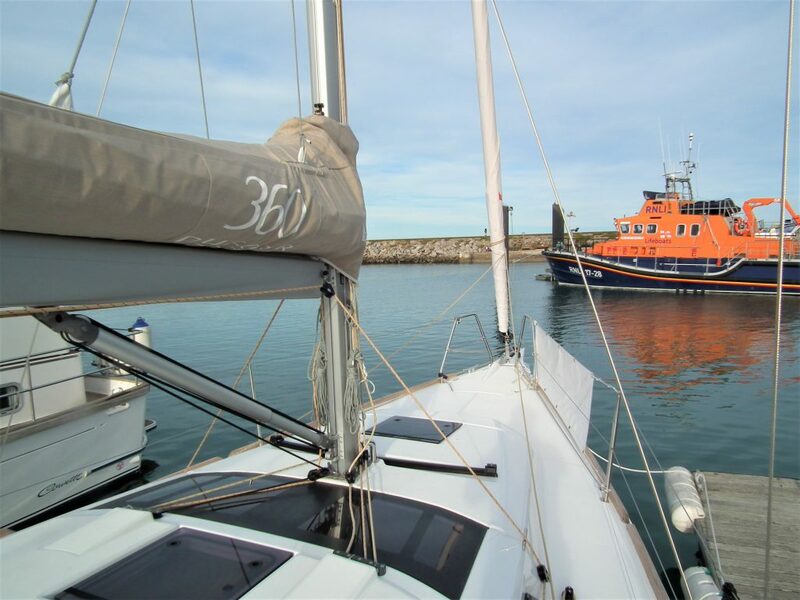 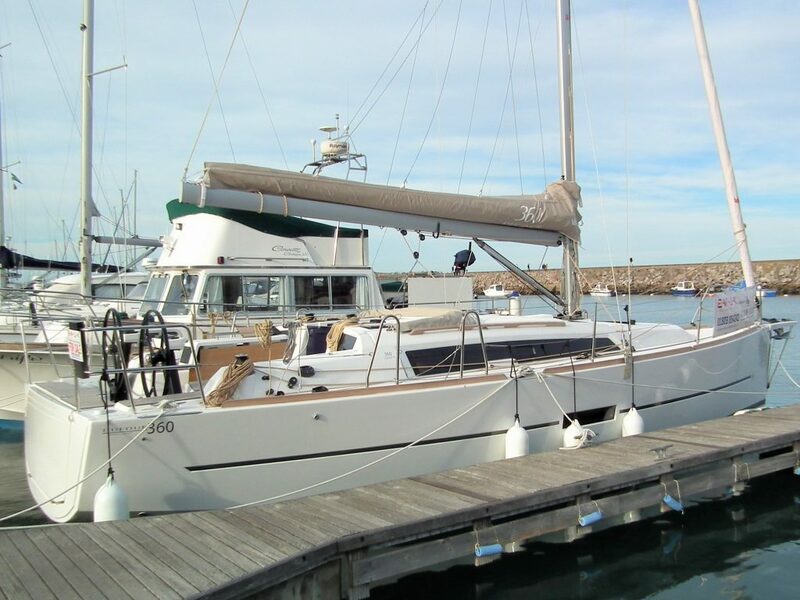 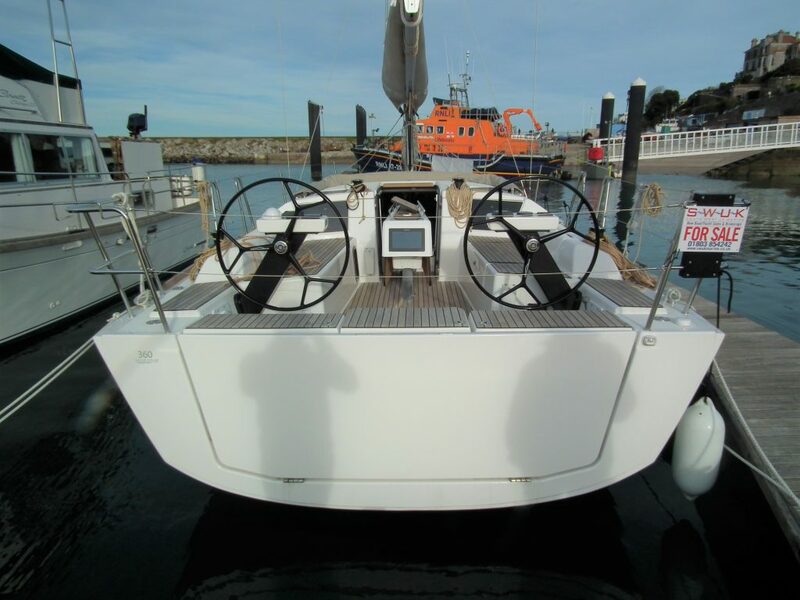 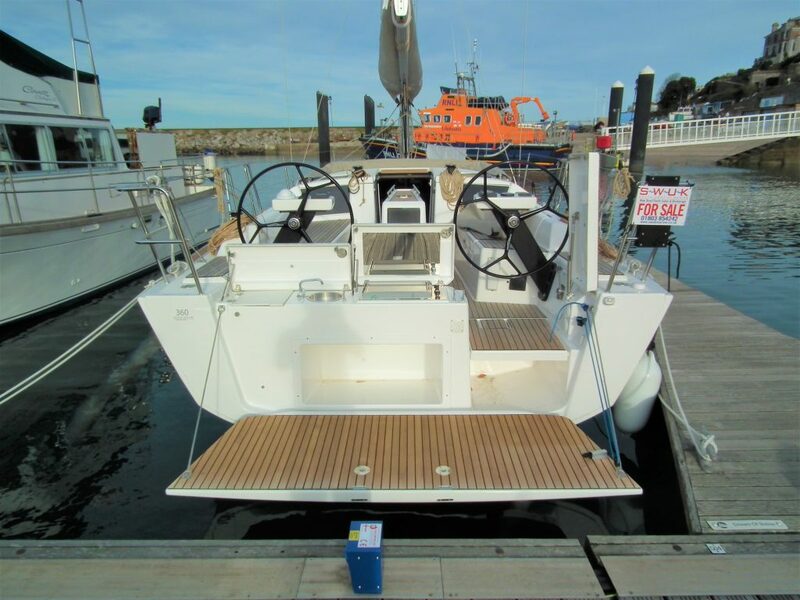 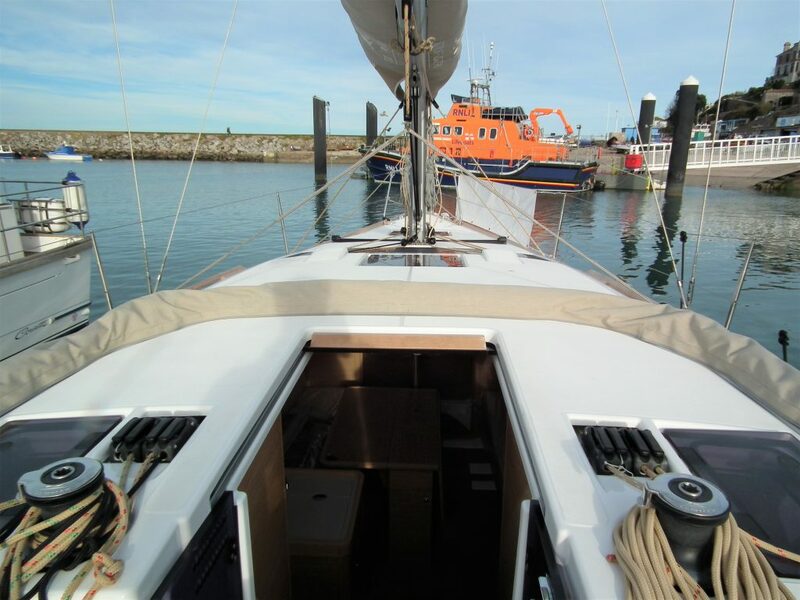 This particular endurance 30 has been fitted with a bow thruster for ease of maneuverability. 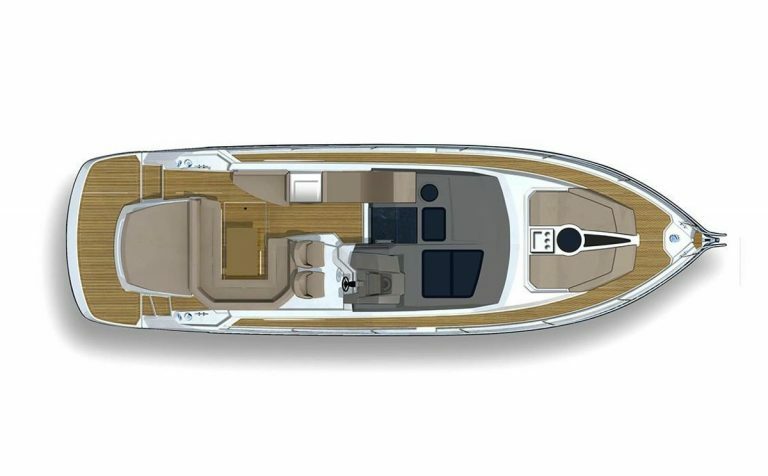 As well as having the optional “Grigio Nube” coloured hull, this is a well specced boat. 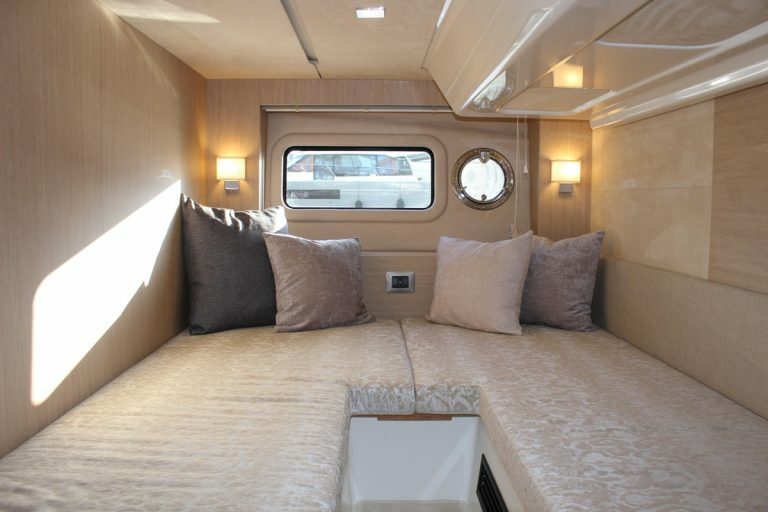 Ready to purchase Now! 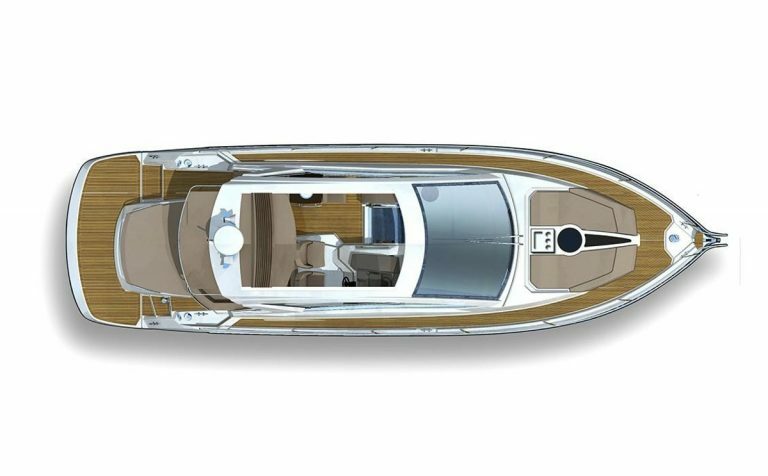 The Cranchi Z35 is a classicaly proportioned sports cruiser. 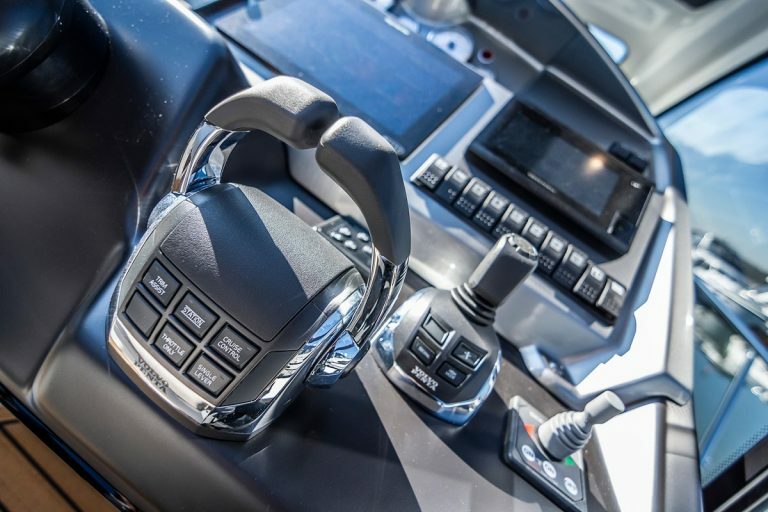 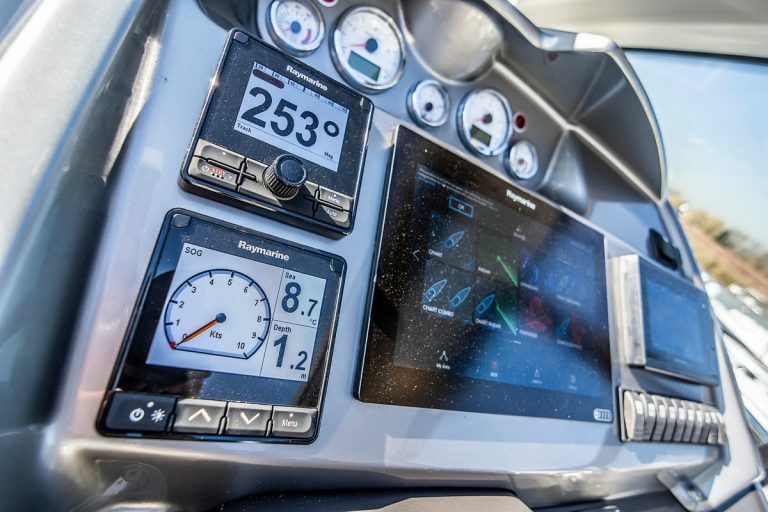 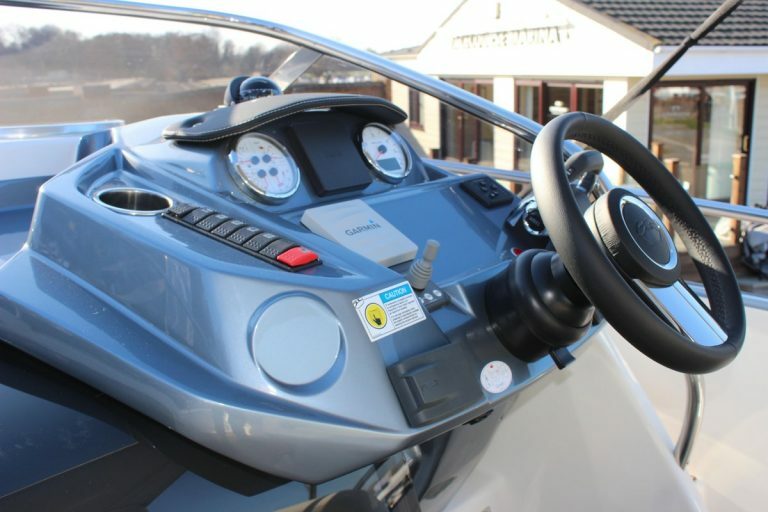 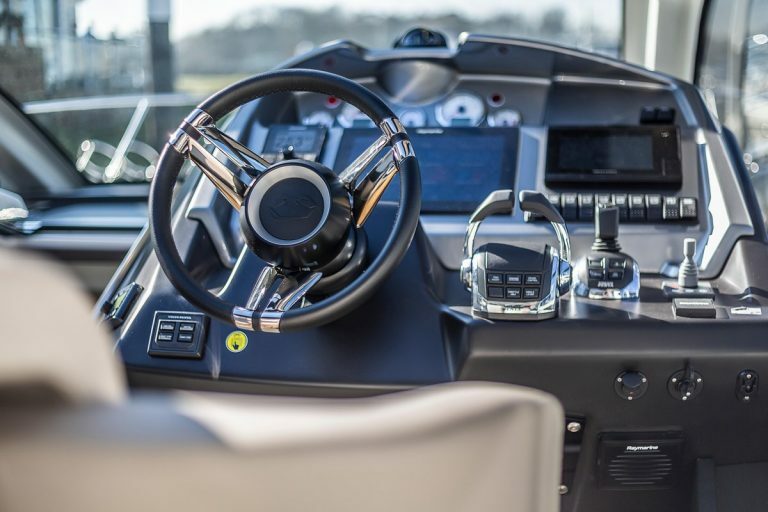 Start by considering its midships helm position, ideally located for enjoying performance of 32 knots + from the twin Volvo Penta D4 260hp outdrives. 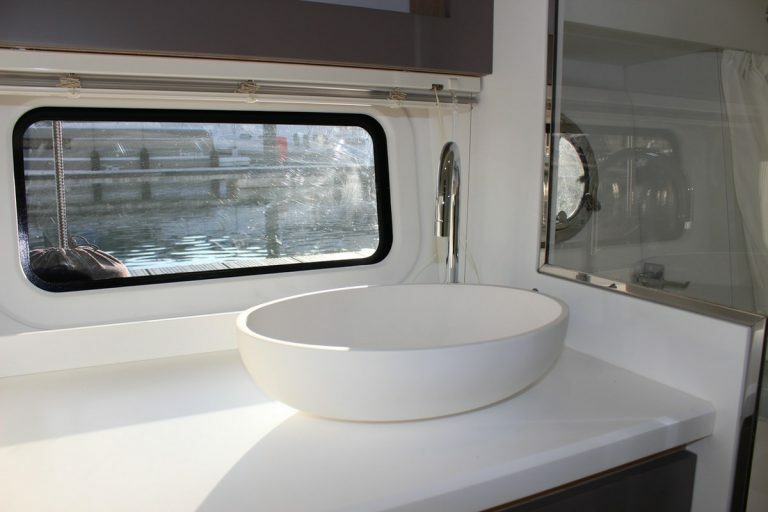 Look aft to see the generous bathing platform, seating and bar. 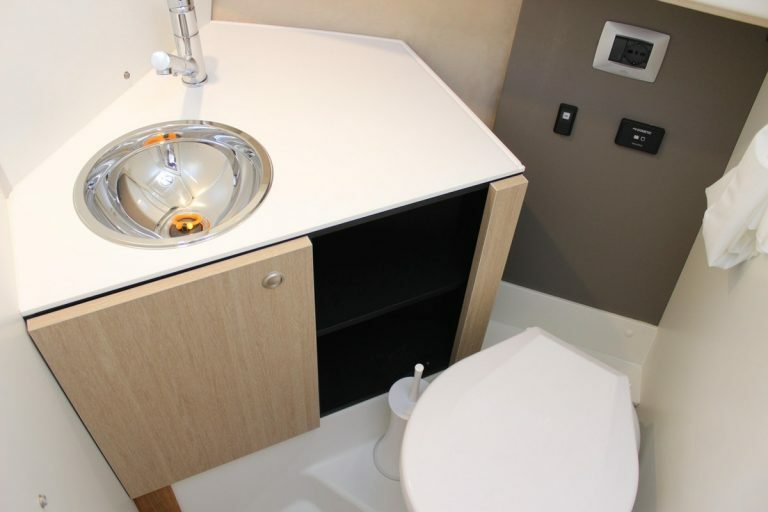 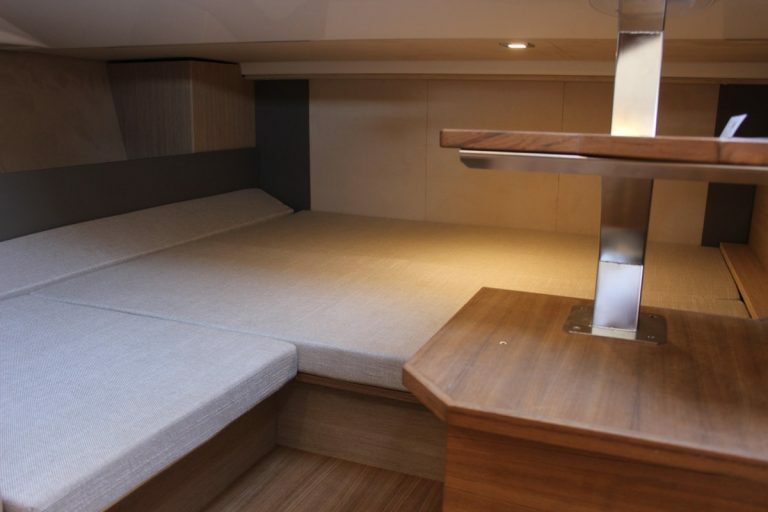 Then forward to take in two double cabins, dinette and galley. 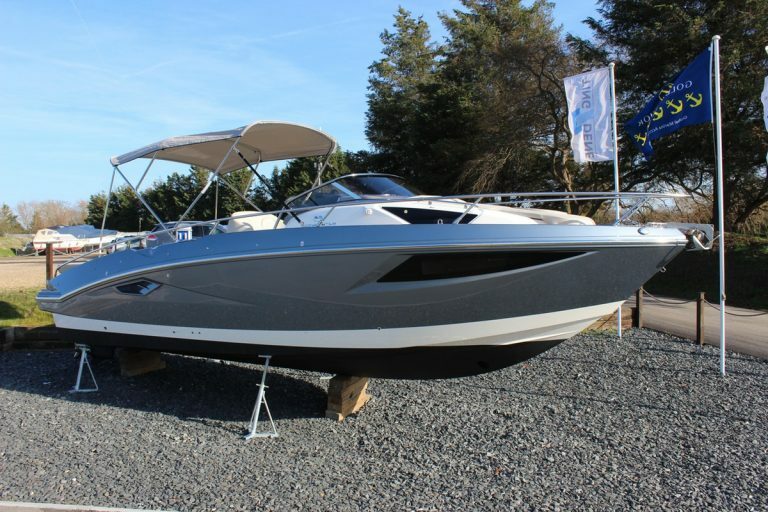 Add this to Cranchi’s Italian styling and engineering excellence for the most fun you can have with 35 foot. 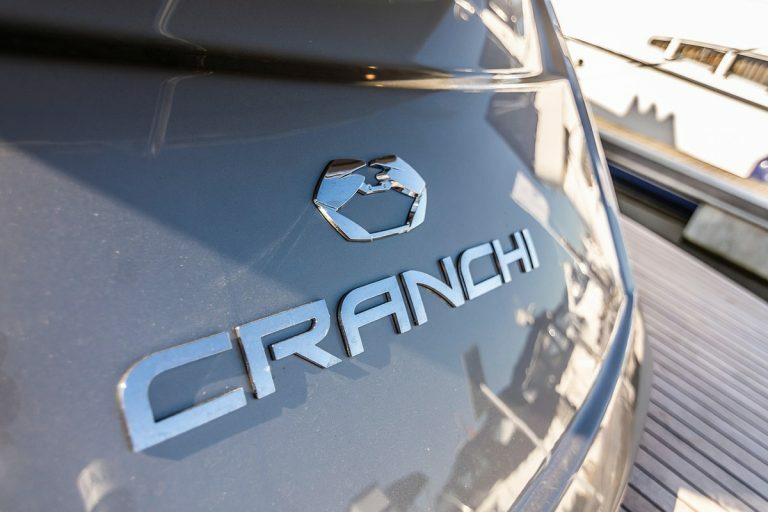 No matter which angle you look at it, the Cranchi M 44 HT is a real head turner. 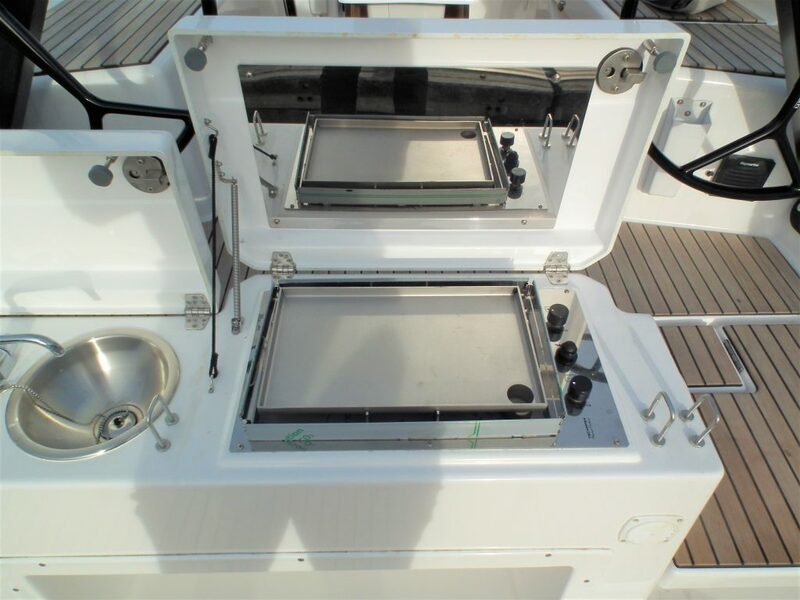 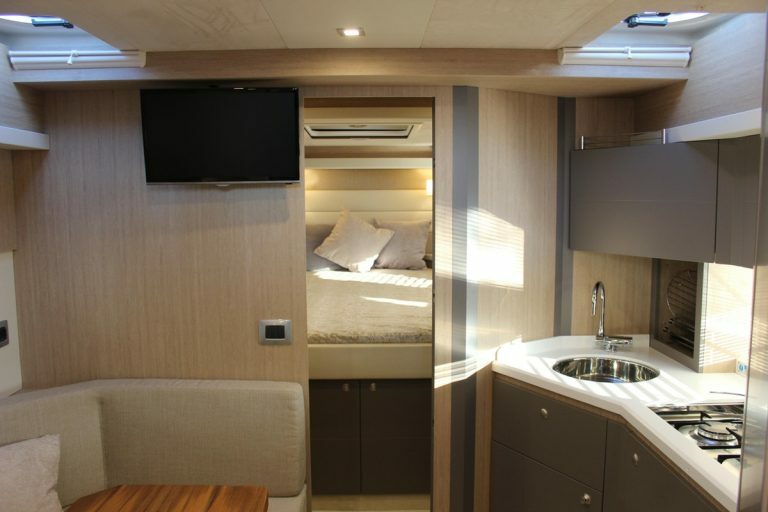 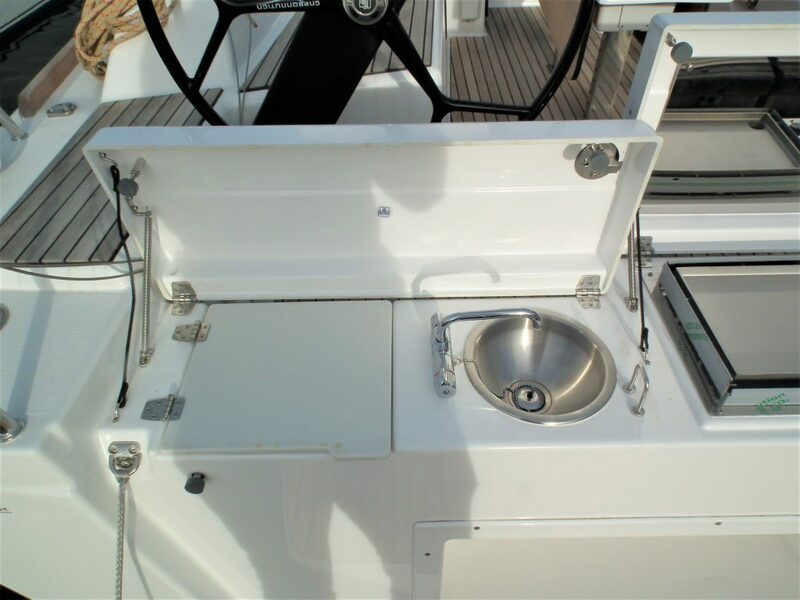 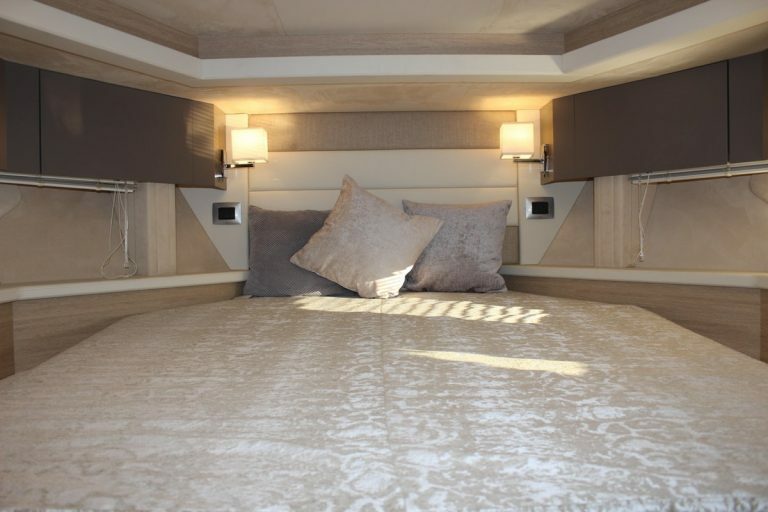 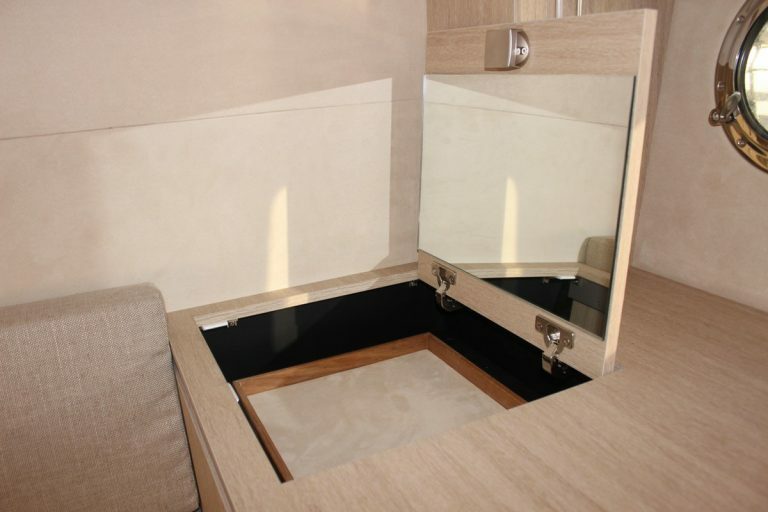 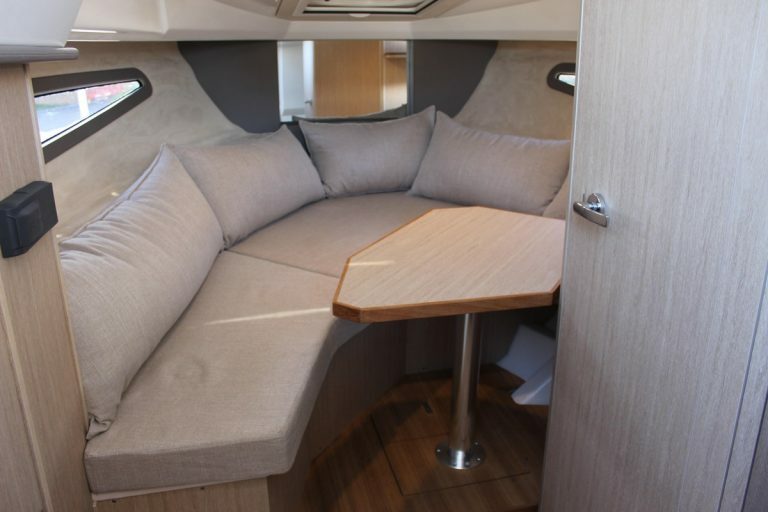 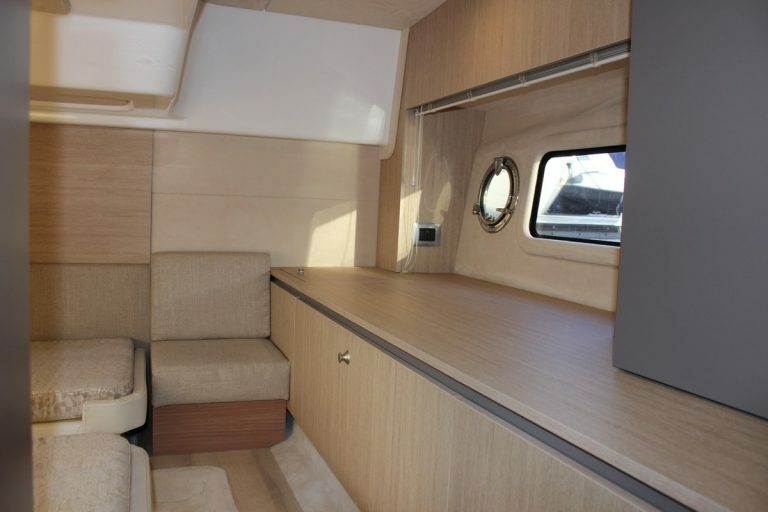 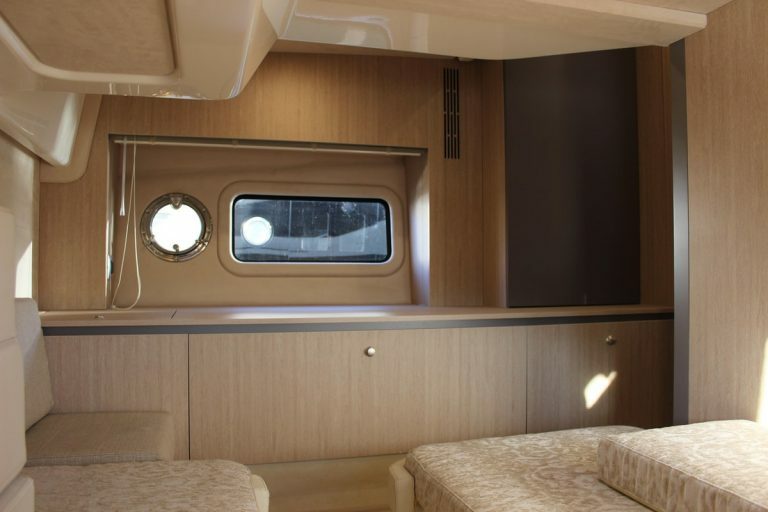 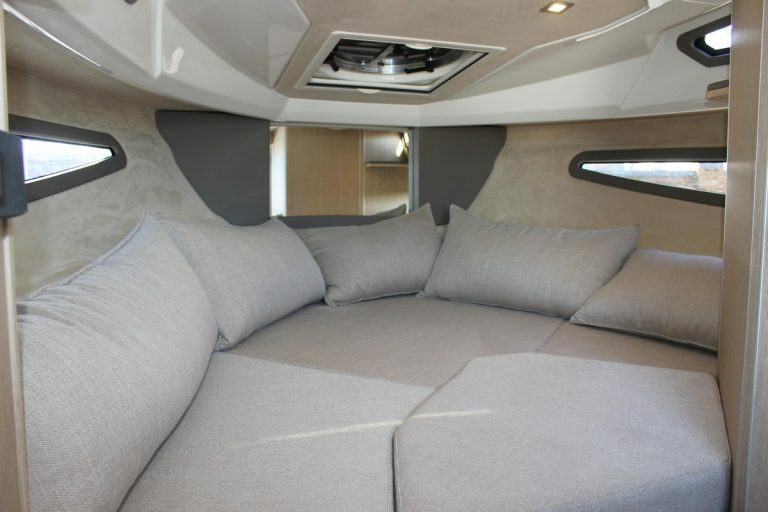 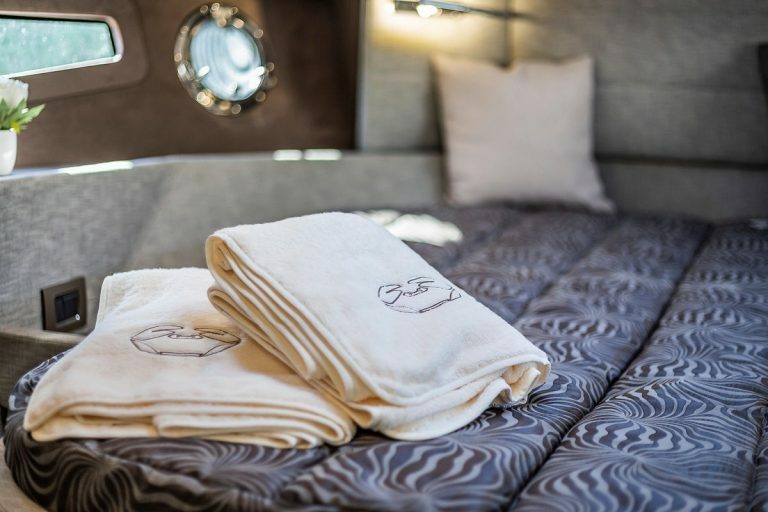 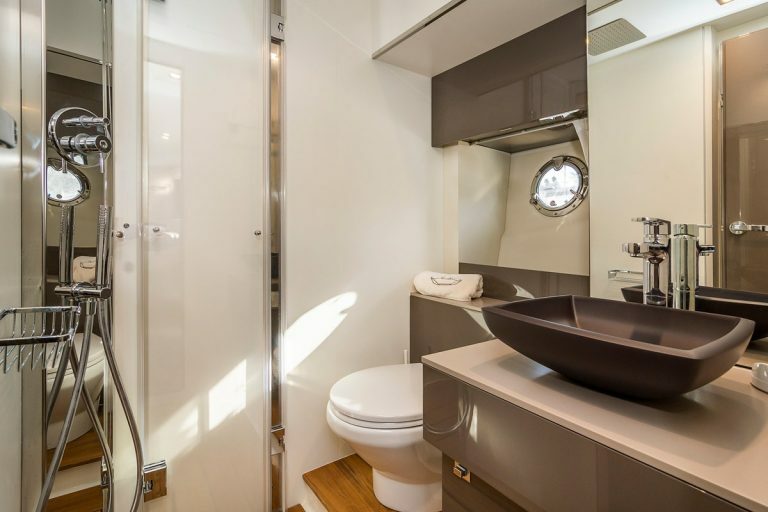 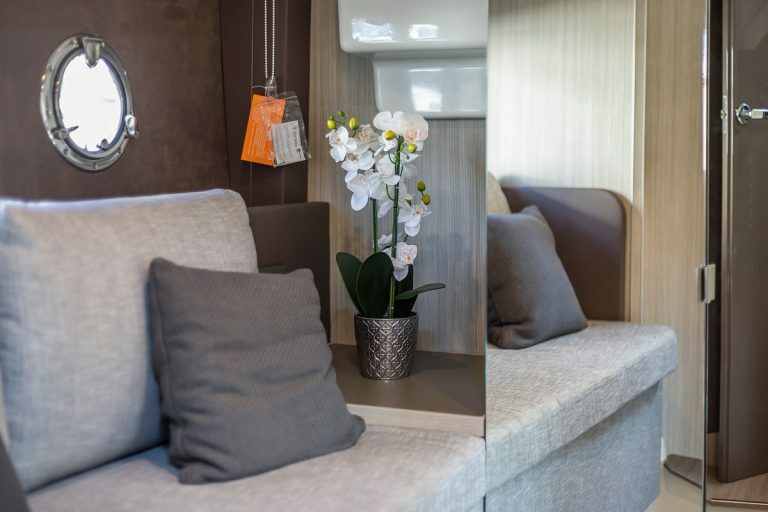 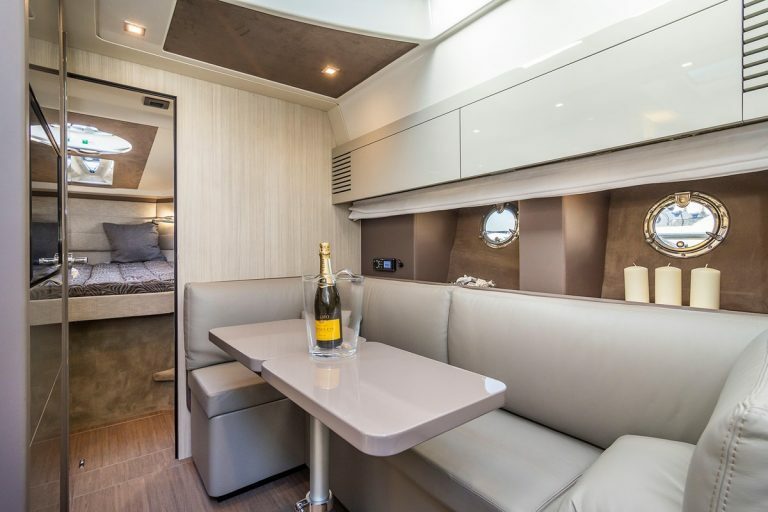 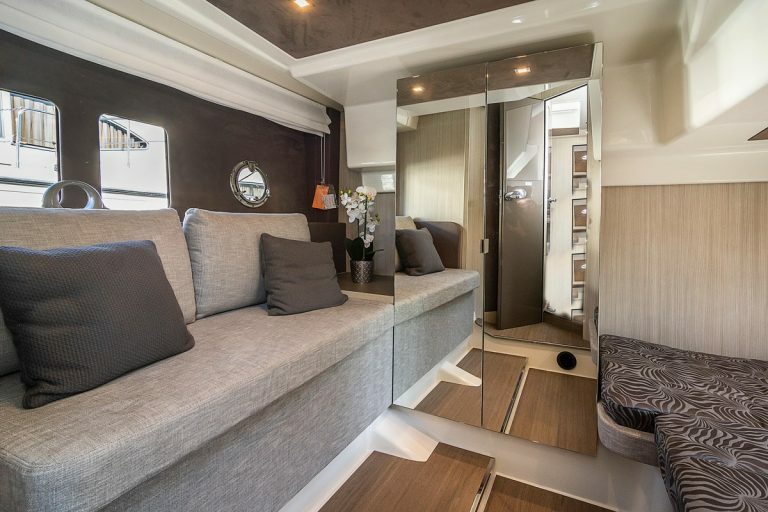 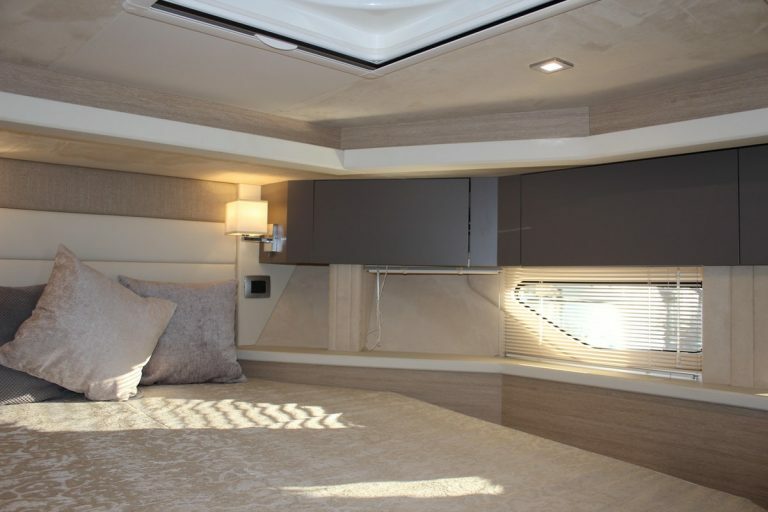 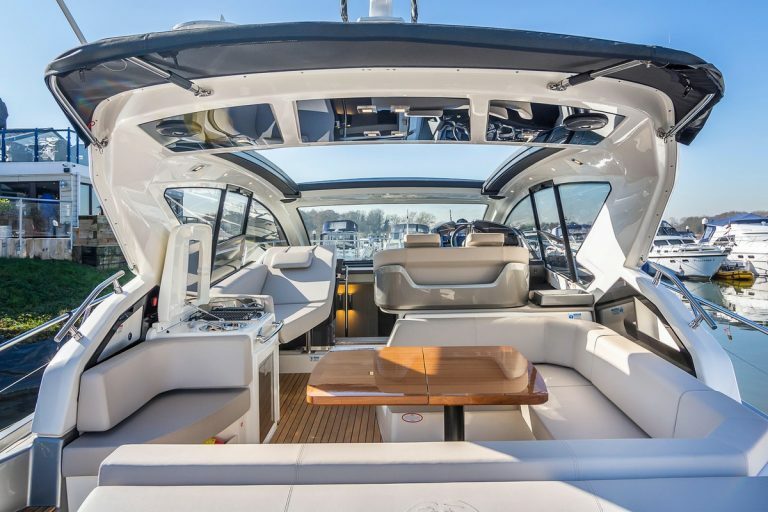 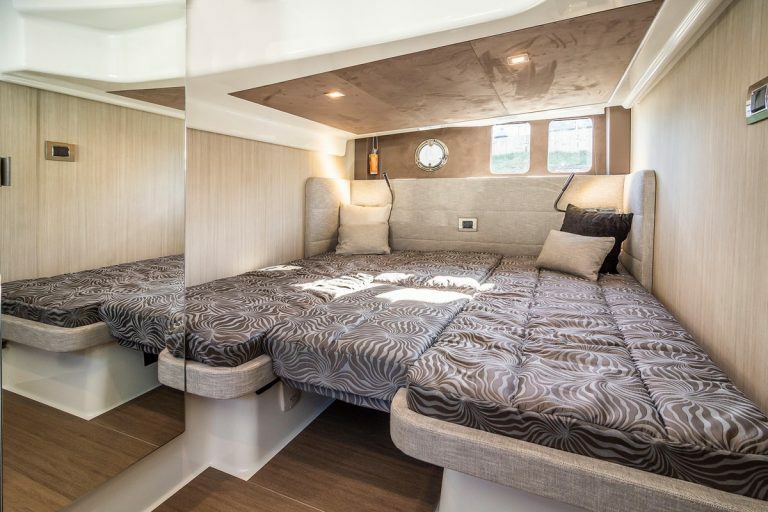 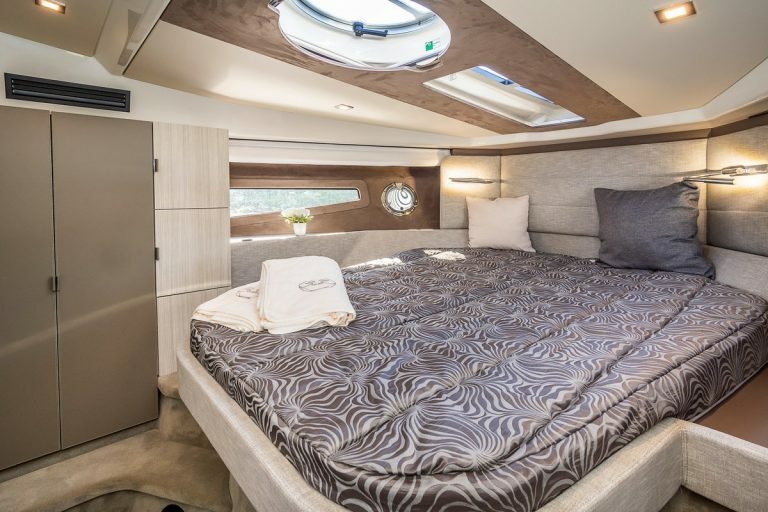 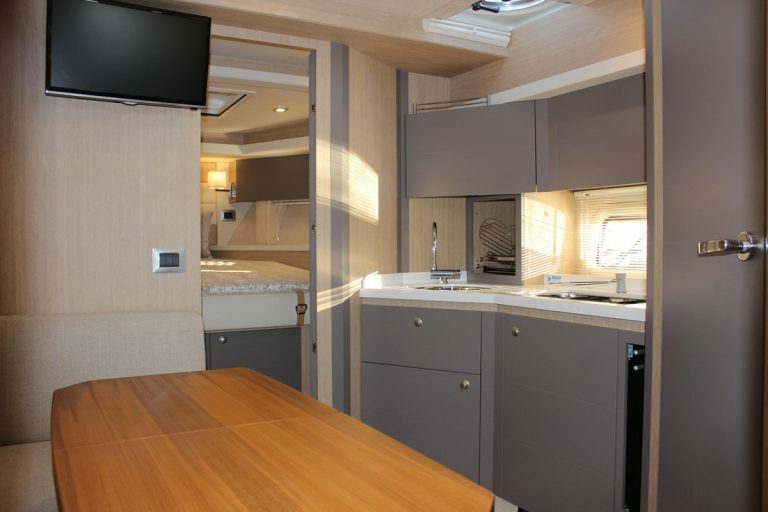 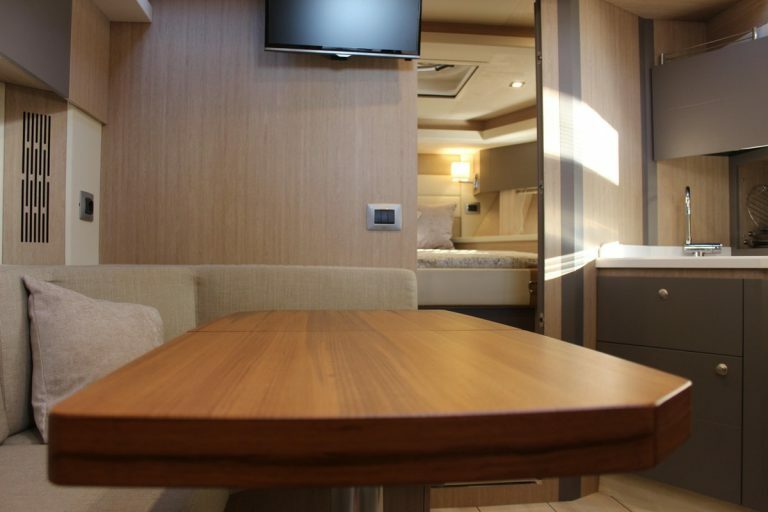 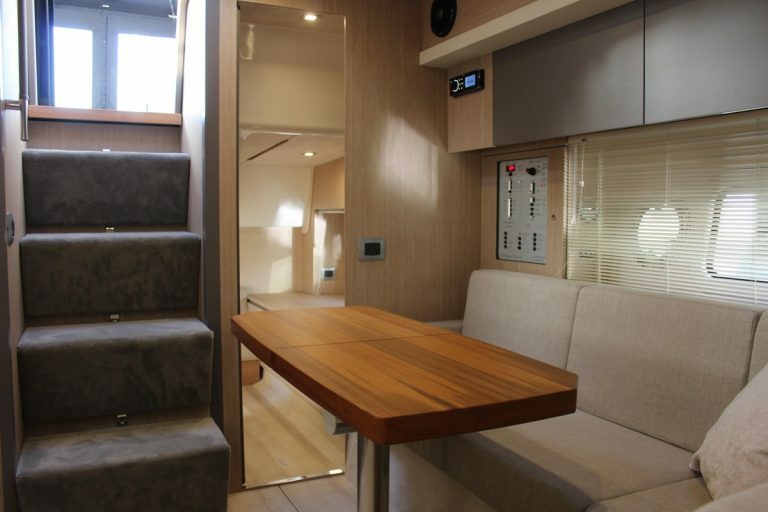 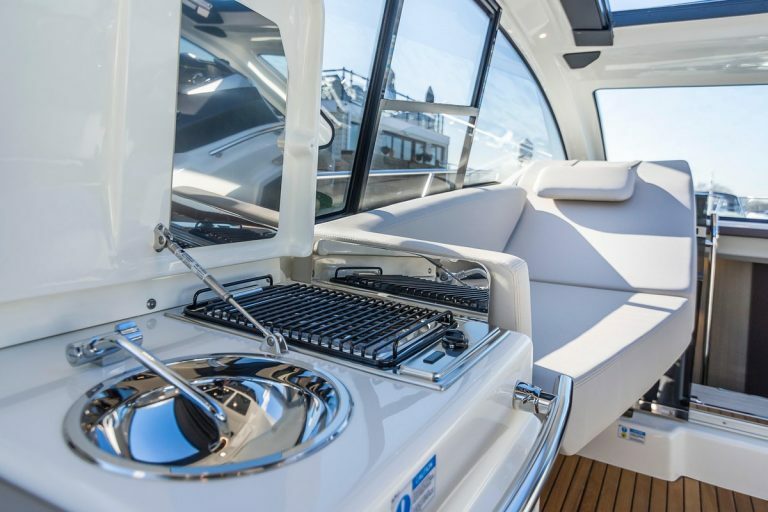 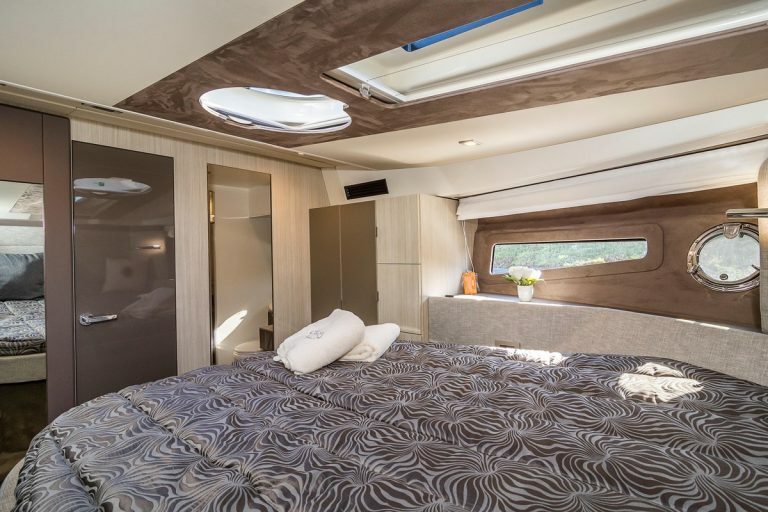 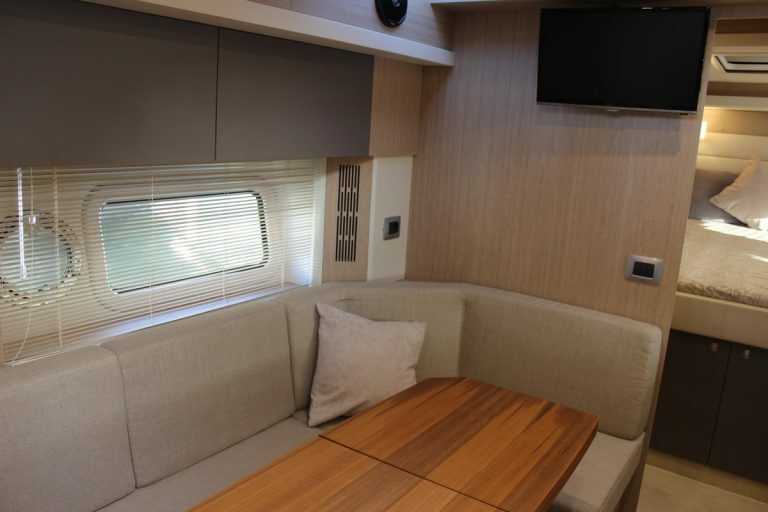 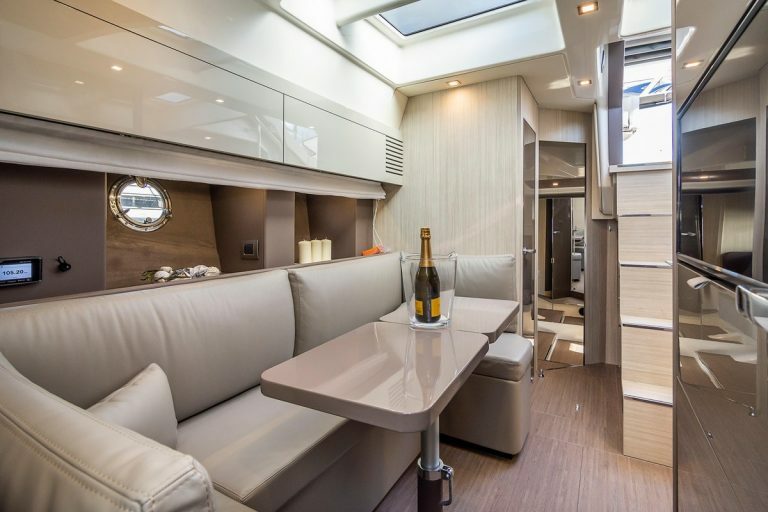 Its extended hardtop flows up from the deck in one continuous sweep, sheltering the dinette and helm underneath a large opening roof whilst keeping the accommodation completely open to the beach style aft end of the boat and its luxurious twin sun beds forward. 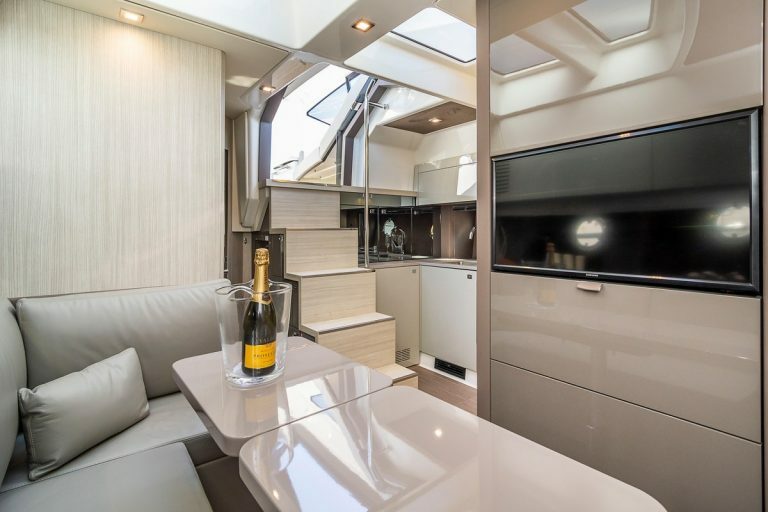 Below a central saloon is flanked two cabins, both of which can be used as master or guest. 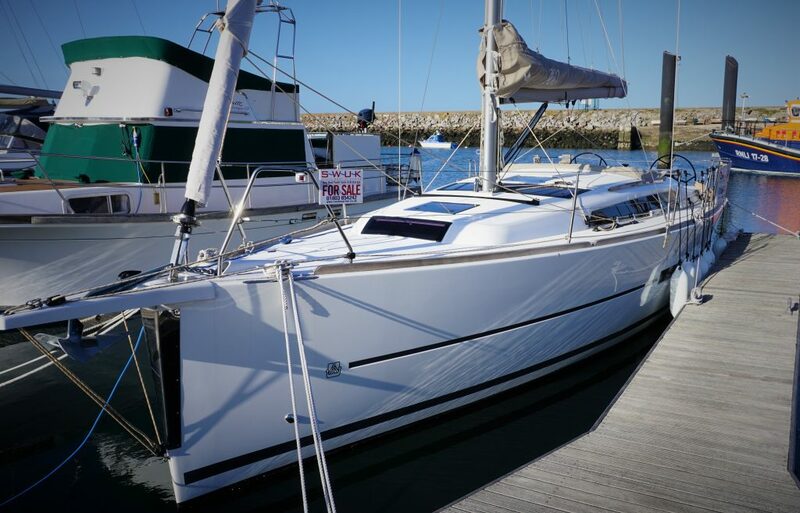 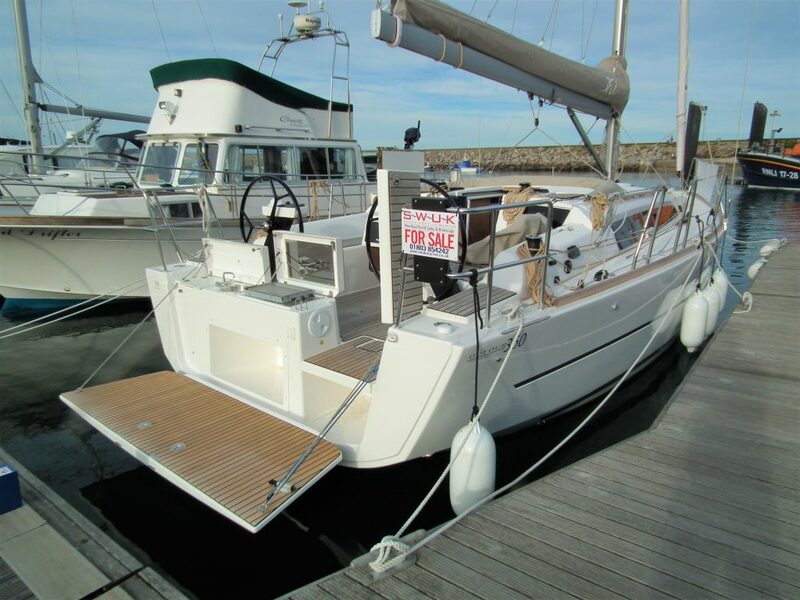 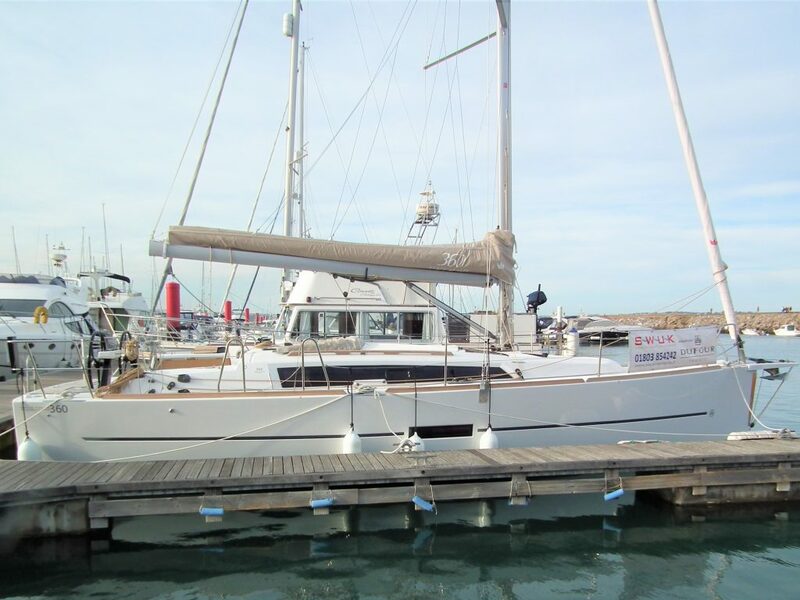 This Patricular M 44 HT has an extensive list of optional extras included, so get in touch for more information!